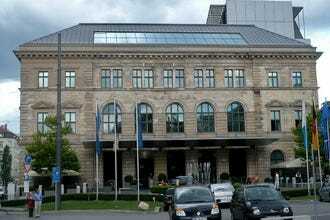 The Hotel Vier Jahreszeiten Kempinski München is a historic hotel located on Munich's most expensive shopping street. Fitting with its location it is a five star hotel that really has it all and an impressive history. 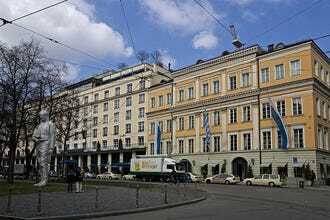 Heads of state and celebrities have stayed at the Hotel Vier Jahreszeiten Kempinski München since it opened in 1858 when the famous King Ludwig II was in power. 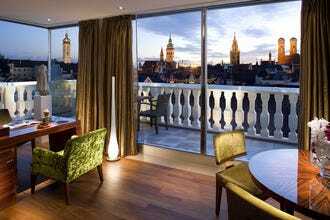 It has been continuously updated to remain considered as one of the best hotels in Munich if not all of Europe. Facilities include a spa, pool, fitness center, and multiple bars and restaurants all under its roof. Recommended as Best Hotels Because: Hotel Vier Jahreszeiten Kempinski München has an elite location, top service, and an impressive history.